Hey hey ! Hope y’all are doing swell. I am doing great considering the weather and that I started Bootcamp this morning. I am going to be a running machine in no time!! Enough about random shizz…here comes the post! 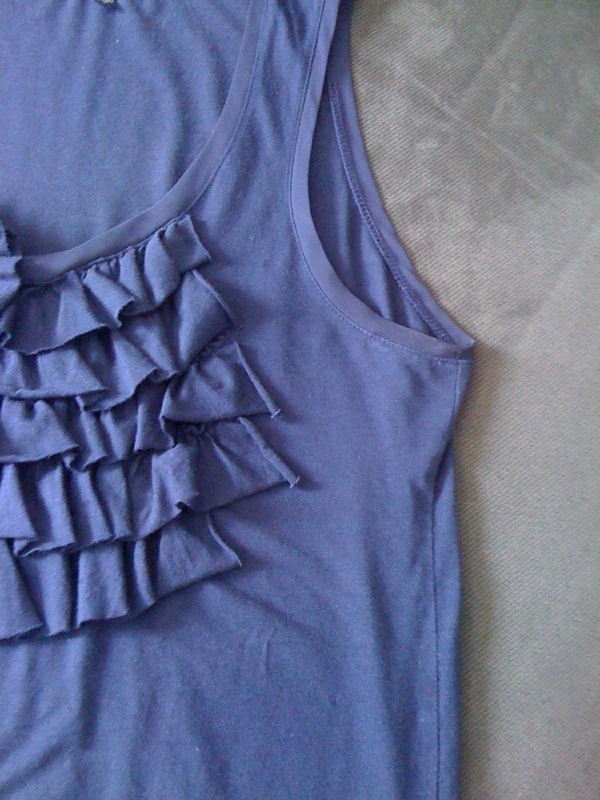 I bought me a cutesy little Gap ruffle tank a few weeks back which I heart heart heart. I wore it with a new cardi the other day which caused it to get pilly in the pitties. Oh MON DIEU! Yep, gorgeous as always. I’ll help you hold it down!